Click the button below to add the HP Expedio Heat Water Pump Assy - CW980-00498 to your wish list. 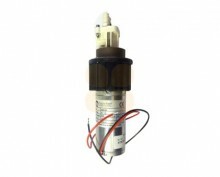 This Water Pump Motor 24V is suitable for HP Scitex Expedio printers. This is the original HP part (number CW980-00498). The cable of this Water Pump Motor 24V is 30cm long.